PowerShell’s Write-Host is similar to the VBScript command WScript.Echo command. My advice is only use this command if you have a compelling reason to see stuff displayed on a monitor. I find that the underlying commands work fine without preceding them with Write-Host. Furthermore, Write-Host occasionally causes a perfectly sound command to fail. I have decided to swerve ‘Hello World’ examples and instead set Write-Host to a real life task of reporting information about your network card’s Ip. Note 1: Observe how there is no extra punctuation between "The Literal " (MacAddress 🙂 and the $variable ($objItem.MACAddress). For that reason I left a space just before the closing speech mark. Challenge: Just to test your own understanding, experiment with changing "MACAddress : " to Plain "MAC ". Plain Write-Host really is straight-forward to use. One of the few tricky scenarios is when you try to be flashy and combine literals and $variables through the use of quotes. Note 2: Write-Host interprets a single quote as a literal, sadly it ignores $Now and the underlying Get-Date. Write-Host "Today is $Now -enjoy!" Note 3: This result is probably what the designer of the above script intended. If you run this example then you see today’s date surrounded seamlessly by a few words. $Now = Get-Date -Uformat "%A %d-%b-%Y"
Help reveals two parameters, which most script writers use sooner or later, namely -BackGroundColor and -ForeGroundColor. Take care with Write-Host ForeGroundColor and BackGroundColor as you can produce some truly hideous combinations thus! Apart from black and white, other Write-Host colors include, gray, blue, red and yellow. Write-Host "Today is $Now -enjoy! (Write-Host)"
"Today is $Now -enjoy! " Note 4: The main command works fine even on screen, Write-Host adds nothing to the output. Write-Host "Santa in " + [Math]::Truncate(($Xmas.Days)/7) + " weeks"
"Santa in " + [Math]::Truncate(($Xmas.Days)/7) + " weeks"
In this output Write-Host produces an undesirable effect. While you can overcome the problem by enclosing the [Math]… in parentheses, it’s simpler to omit the cmdlet altogether. Researching PowerShell cmdlets with -Noun or -Verb always throws up at least one surprise, in this instance Out-Host looks interesting, and often use Clear-Host to produce a blank slate before I run another script. 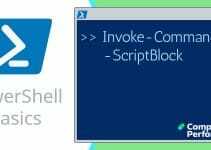 With PowerShell’s Write-Host what you see is what you get on screen. It’s an easy cmdlet to understand, especially if you are familiar echo commands from other scripting languages. My advice is to only use Write-Host if absolutely necessary.